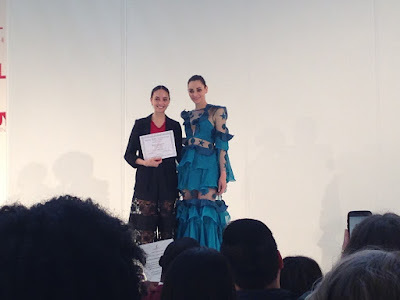 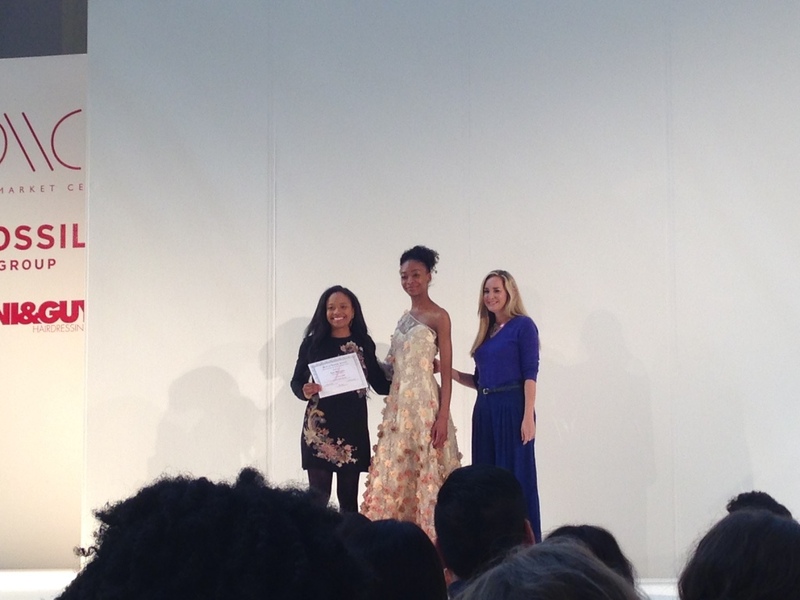 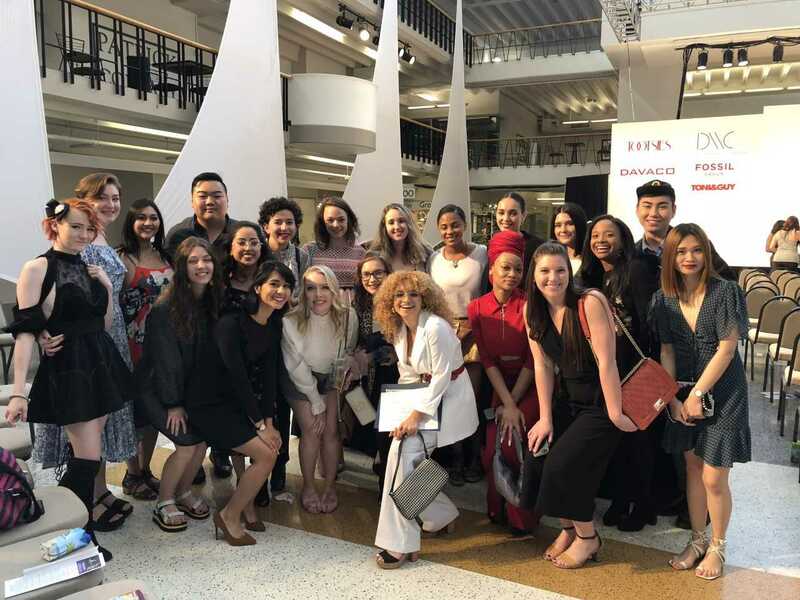 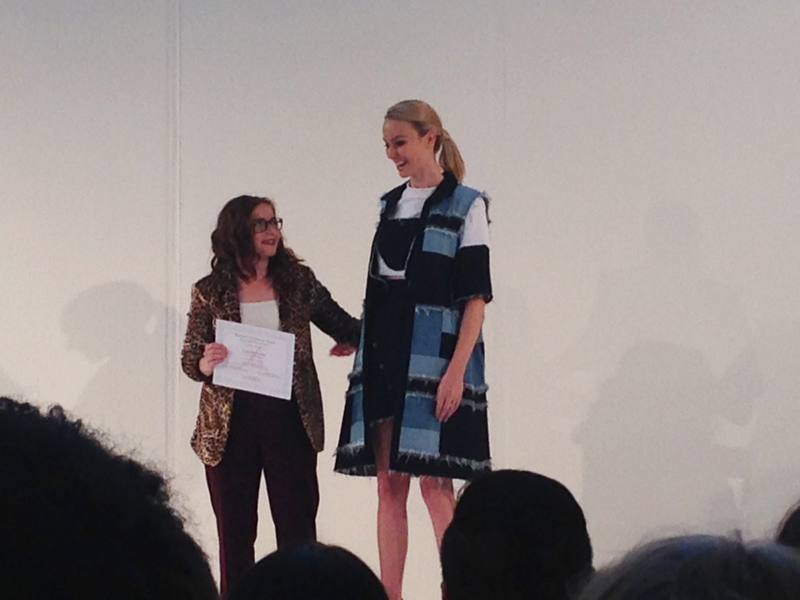 On Friday, April 20th, UNT fashion design students participated in the annual Fashion Group International Scholarship Competition at the Dallas Market Center. 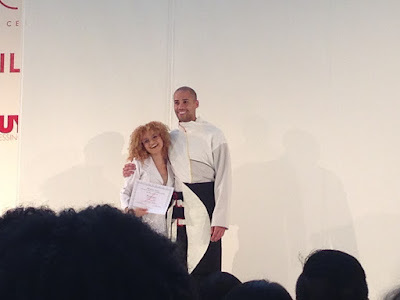 The keynote speaker for the event was Erin Wasson, a jewelry designer and model. 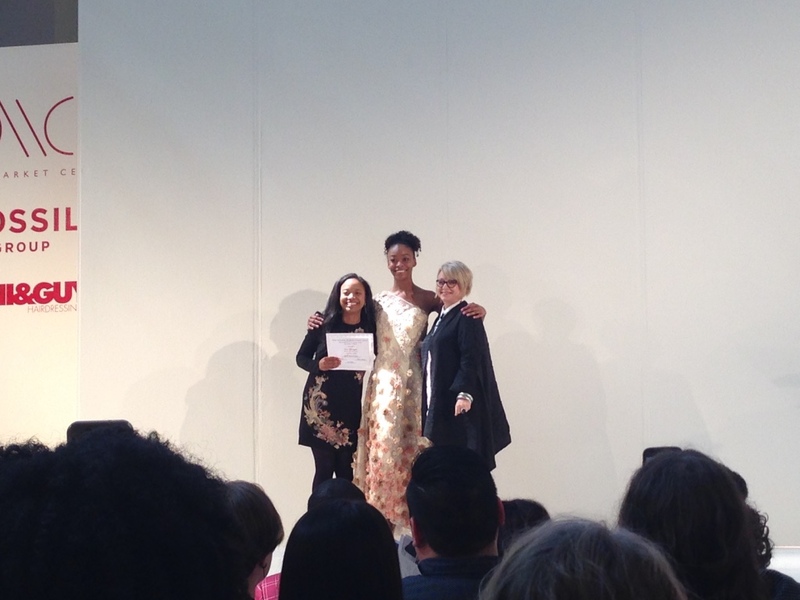 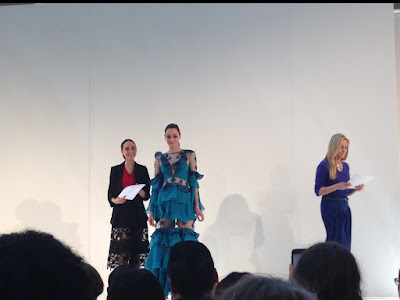 Twelve colleges/universities were represented and UNT had a total of 21 garments/accessories selected on either runway or mounted exhibition. 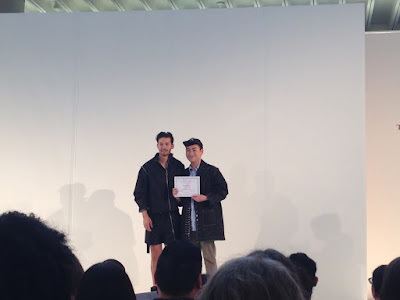 The student designers were Ruby Aguirre, Keonna Arlequeeuw, Bryce Batchelder, Victoria Edgar, Haoyi Feng, Braylee Flaska, R'Bonney Gabriel, Marena Girgis, Courtlyn Lishka, Logan, Tyska, Tommy Lu, Asia Montague, Michael Nguyen, and Alia Sheppard. Courtlyn Lishka: 3rd Place Women's Sportswear ($500), sponsored by Sharon Young, Inc.
Asia Montague: Best of Sewing Award, Single Needle Juki DDL-5550, sponsored by City Sewing, Inc.